There is a concept of a need and a way to fullfill that need. Somewhere along the line, a person extends himself or herself to another in order to help that other person. For those providing and receiving instruction, the world may seem limited, even mysterious and complicated. If you have ever felt in this position, remember this mantra,“good teaching is good teaching“. 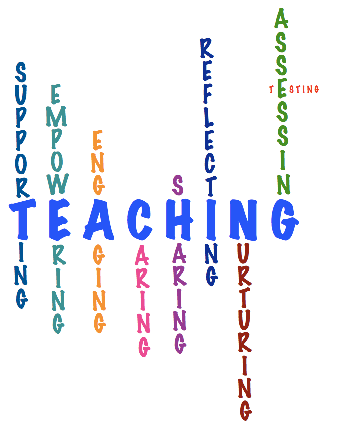 But, what does it mean „good teaching“? To receive is to learn. To give is to teach. Methods which work well include (a) paired and cooperative learning and (b) hands-on instruction. How the information is delivered depends on the unique persons involved. Receiving information in a group that is larger complicates the problem of how to transfer information and requires daily modifications. For those receiving the information, the goal of teaching should be to learn as quickly as possible, therefore, motivation plays an important role. Enthusiasm can be thwarted with tedious tasks or moving beyond the student´s level of capability. For this reason, judgement is needed to consider the needs of the recipient. It is also important to have all recipients working together, contributing to the transfer of information between the group. Language learners rely on both verbal and nonverbal cues. Form your words carefully and project your tone directly towards the language learner using a friendly and sincere tone. Buddies should be strong students who can help guide and provide answers without disrupting the others in a group. Foreign names can be a challenge, but it is just as important for you to practice the pronunciation as it is for them to practice theirs. Do not give the student an English name with the intent or excuse that it is easier to pronounce. Older students may be asked what he or she would like to be called. Honor their choices. Pictures and words can help to build a precise picture that helps to reinforce what you are saying. Teachers need to look for different ways that students may demonstrate comprehension. Students should verbalize or write down what they understand and this should be checked. Do not simply ask, „do you understand“? Student´s will say "yes" simply to avoid a potentially embarrassing situation. Practice, practice, practice. Normally, those who have the highest level of spoken language are the best writers and readers. Unless the student is deaf, speaking louder does not increase ones comprehension level, actually it diminishes it! Speaking slowly will only embarrass the student so refrain from that as well unless it is moderately slowed down and not over exaggerated. This can be as simple as taking attendance or dedicating Tuesdays for drawing pictures and doing homework assignments together. Get the students to note these routines and get accustomed to asking for them. Discuss, read and speak about cultural practices, problems and behaviours. A teacher must provide students with core vocabulary but be careful to manage that list since not all students share the same level of comprehension and should not become overwhelmed. Reading is really the key to a student´s success. Smiles help build trust and remove fear and doubt, but if the smile has value, then the energy behind it is not forced but natural and part of an ongoing relationship. In conclusion, it is important to never forget, all students want and hope to be successful. Teachers, therefore, have a responsibility to create an atmosphere that helps those students achieve their academic goals. So remember , „good teaching is good teaching“. Work on your teaching style, accomodate the student where possible, motivate the student and help the student reach their goals by becoming competent and productive communicators.